When you are in the midst of a true dental emergency, emergency, there’s no time to think. And there is certainly no time to get on Google and find out what you should do. This dental emergency FAQ can let you know what to do if you find yourself in a dental emergency. Learn how to act and never be unprepared again. 1. How do I know that I need an emergency dentist? 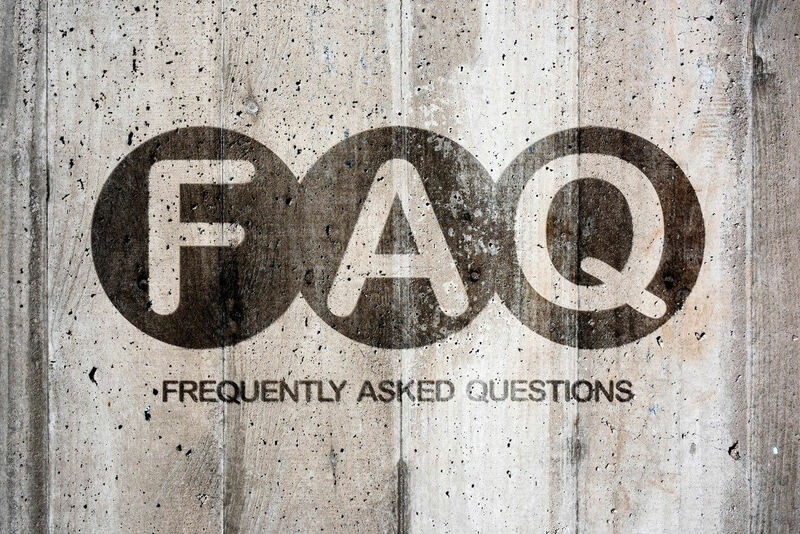 This is perhaps the most commonly asked question on this dental emergency FAQ. There are several situations that require an emergency dentist. If your tooth was badly chipped or knocked out, you need an emergency dentist. You also need one if you have severe oral pain. Finally, any swelling or bulging in your mouth is cause to call the dentists. If you have any concerns, it’s worth calling the dentist. When it comes to your oral health, you can never be too careful. Your dentist can help you determine if your situation is an emergency, or if it can wait. 2. Is a lost tooth filling an emergency? Losing a tooth filling is never a good thing. Without your filling, the nerves in your teeth are in the open. It can be painful, and the exposed area makes the tooth prone to infection. You need to see a dentist as soon as possible. If you can’t get to an emergency dentist right away, there are a couple of short-term fixes. You can head to a pharmacy and look for dental cement. The cement goes where the filling once was and seals the area. However, it’s only a very short-term solution. You can also use sugar-free gum to cover the cavity. If you use gum that contains sugar, prepare yourself for some pain. When the sugar hits your nerves, the reaction can be very painful. 3. Should I call an emergency dentist about a persistent toothache? Most people don’t head to a dentist immediately after a toothache. But that ache may not go away. If it doesn’t subside after a few days, you need to see the dentist. You could have a serious problem that needs immediate help. Coping with the pain of a toothache is challenging. You can take aspirin for the pain. However, placing the aspirin against the painful area of your gums can worsen your problem. Do your best to swallow the pill before it can come into contact with your gums. One common natural toothache remedy is a garlic clove. If you take the clove and place it on your ache, the pain may subside. Keep in mind that these are only things that can help you cope with the pain. You still should seek help from a dentist. They can help you get to the root of the problem. 4. Is it an emergency if my child’s tooth falls out? In older children and adults, a knocked out tooth is a major issue. While it’s still a problem in children with baby teeth, the situation is different. There are no guidelines to follow. You need to contact an emergency dentist immediately. They can tell you what you need to do next to avoid further damage. Unlike adult teeth, baby teeth should not be replanted in the socket. Doing so can cause damage later on when the child develops new tooth. It’s a delicate situation that a dentist needs to address the right way. 5. What should you do when an adult tooth is knocked out? Like a knocked out baby tooth, a knocked out adult tooth is also an emergency scenario. If you want to recover your tooth, there are a few things you should do. You should take the tooth and hold it by the crown. Then, rinse it off with some milk or water. After you clean it, try placing the tooth back in the socket. But be careful not to force it into the socket. You need to be gentle, or you risk doing more damage. If the tooth does not go into the socket, there’s still hope. You can store the tooth in a glass of milk or water. The more gentle you are, the better your chances are of saving your tooth. And the quicker you get to the dentist, the better your outcome may be. 6. How can I make the swelling go away? If you have swelling in your mouth, you have a problem. Swelling is a sign of infection, and an infection can be dangerous. Any swelling requires the help of an emergency dentist. He may prescribe you with antibiotics to fight off the infection. With his help, the swelling will go down. While you wait to see the dentist, don’t make things any worse. Specifically, don’t put any heat on the area. Heat can help the infection spread to other areas. A dental emergency is not something to take lightly. If you have any of the issues on this dental emergency FAQ, you need to see a dentist. They can get you the dental care that you need. This dental emergency FAQ is a good start, but the dentist needs to see you.